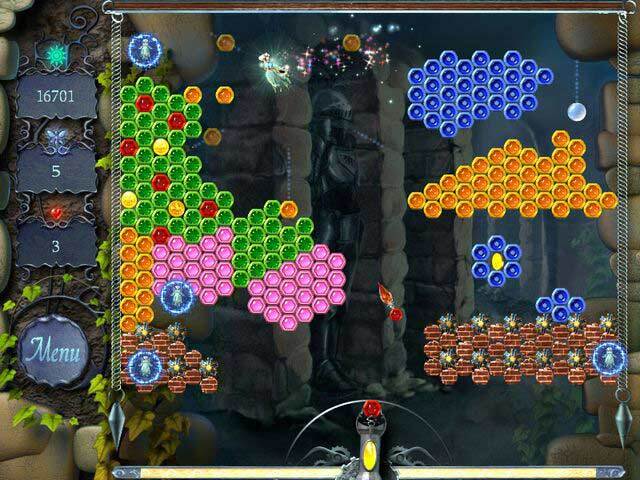 Fairy Jewels (Game Collections) is an enchanting puzzle game for the whole family. The fairies in Fairy Jewels have been locked in a dark castle by an evil wizard. Your Fairy Jewels task is to free the fairies and return them to fairyland. As you follow the storyline in the Fairy Jewels game you encounter dragons, goblins and giants. The story is told over 15 chapters and 150 levels of game play. Fairy Jewels with its fantasy storyline and addictive puzzle action is an intriguing challenge that will involve you for hours. Fairy Jewels. Take off on a rescue mission to fairyland! An evil wizard has captured all the fairies in the land and locked them in his dark castle. It is your task to free the fairies and bring them back to their forest home. Can you save these sweet little fellows? Enjoy wonderful puzzle action combined with a fantastic journey through a magical fairy adventure.